Coffee and conversation are the two greatest instruments of human unification. Amongst the bittersweet notes of a truly good cup of coffee, one can find warmth, peace, and companionship, for it is a beverage of luxury that is often shared with those who care about us the most. (Which would certainly explain why I seem to do all my coffee-drinking alone). In the midst of Brick Lane’s cultural mixing pot, lies Kahaila, a cafe that embraces these socially cohesive superpowers of coffee. By utilising one’s extensive knowledge of Hebrew* (*reading the “about” page on Kahaila’s website), I can inform you that Kahaila is a Hebrew word for “community”, and the community is exactly what this little cafe aims to serve. Kahaila is primarily a charity, and the profits from its coffee shop are funneled into community projects and other charitable causes, thereby ensuring that you can indulge in baked goods and still avoid being shot by your personal trainer – after all, that giant piece of red velvet cake you ate would have been invested into the greater good, (as well as into your waistline). 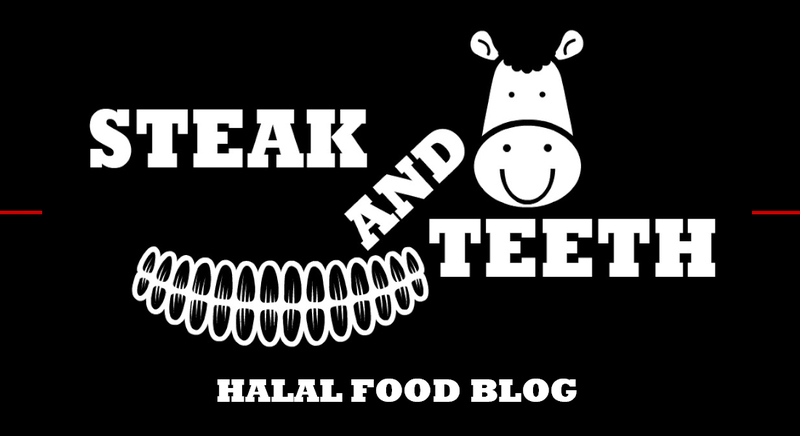 Note: None of the meat here is halal, but non-meat/vegetarian options are available. I visited Kahaila on a wet and windy autumn day for a spot of studying, and I quickly settled down and began the process of bribing my brain to do something useful. My first order of the day was a mozzarella and chutney sandwich, and a flat white. The flat white possessed a thick layer of microfoam which was full and rich, and the cup as a whole was perfectly balanced. As a result, it carried a smooth flavour and a fairly deep body, both of which were uniform throughout. I also greatly admired the black cup and saucer, which coincidentally matched my black macbook and the endless black hole that is my black soul. Despite the flutter of conversation in the background, my productivity went into full swing, as I subtly flung through photographs of oral infections and dysplastic growths, without those around me catching a glimpse and feeling nauseous – (though, my face had probably done that anyway) . Halfway through the day however, an American woman sat opposite me with her phone to her ear, and, as is usually the case when an American begins speaking, my brain shut itself down. (Just kidding American-readers!). To refuel, I helped myself to a cinnamon swirl and a single espresso. 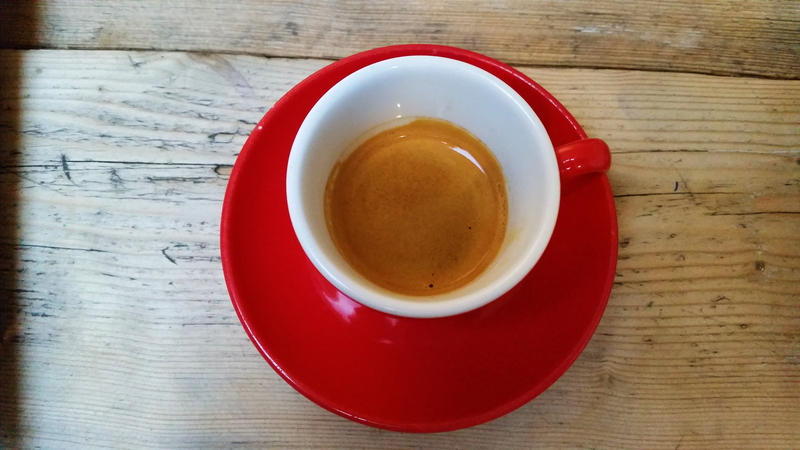 The espresso possessed a thin, delicate layer of crema, and delivered a pinpoint, needle-like tang, which was sharp, yet delicate. Overall, it was full of a powerful, citrus zest, which infiltrated the tastebuds with a capillary-like action, and tingled the senses. As the evening drew on, I decided to go wild and try something different – (it was soon to be Saturday night after all), and so, I ordered my first matcha latte. (I know. I’m a real daredevil. 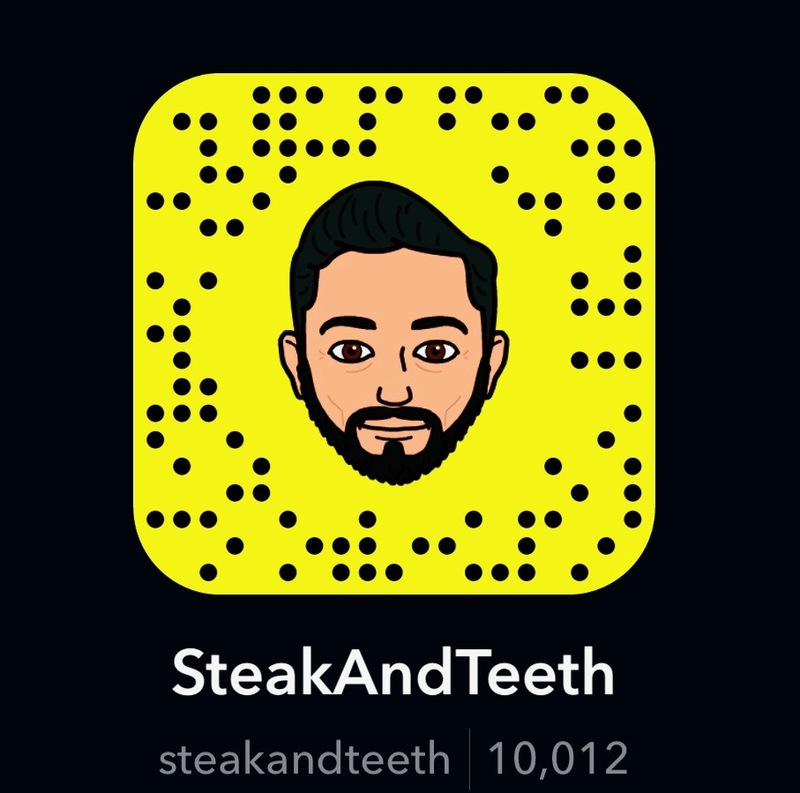 Someone control my recklessness). 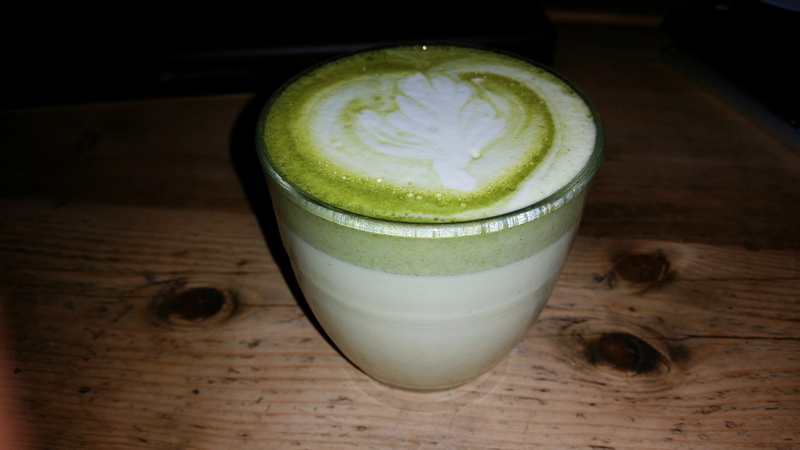 This green-tea latte has become a highly popular addition to the coffee shop armamentarium in Britain, and Kahaila’s rendition carried a strong, deep and earthy flavour of matcha, which was well-balanced against the steamed milk and its thick layer of froth. Overall, this interesting concoction was as green as a blended vegan, and delivered an equally clean, soothing feel to the gullet. Kahaila serves a range of sandwiches, pastries, cakes and other baked goods, and having arrived just past midday, there were only a few viable options left for me to choose from. With an absence of halal options or seafood-based sandwiches, I solemnly asked for a mozzarella and chutney bloomer. Surprisingly, this animal-free bloomer sang a satisfying tune, as it was comprised of high quality bloomer bread which was evidently fresh, with a fairly soft, doughy texture that contrasted well with its crunchy, seeded crust. The mozzarella within was soft, sticky, and rubbery in texture and combined well with the sharp, yet smooth nature of the chutney. The chutney itself delivered a sweet and mildly spicy punch which was deliciously rich, and overall, the bloomer had a very wholesome feel. 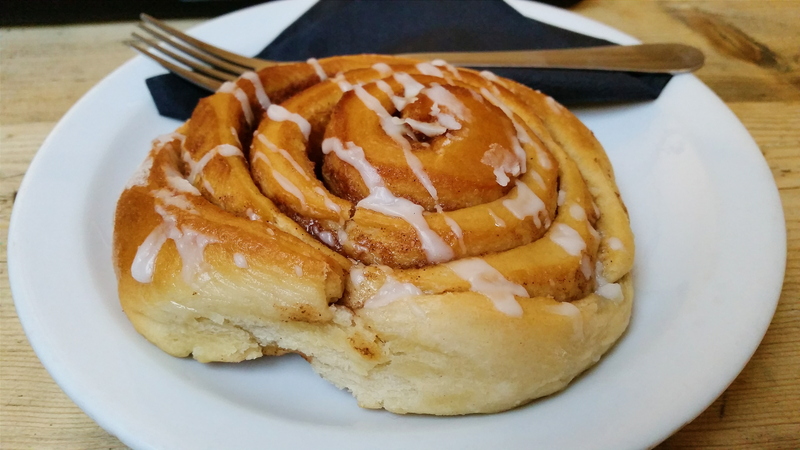 The cinnamon swirl was thick and soft, but slightly dry and stodgy in some places. Despite this, the swirl still provided a pleasant, mild sweetness, and a subtle flavour of cinnamon. The flat white cost £2.60, the espresso cost £1.80, and the matcha latte cost £3, whilst the sandwich came in at £5, and the cinnamon swirl at £2.50, resulting in an overall expenditure of £14 for the day. Generally, coffees range from £1.80-£2.80, teas range from £2-£2.50, sandwiches from £4-£6, pastries and small cupcakes cost £2.50, and large pieces of even larger cakes cost £3.40. 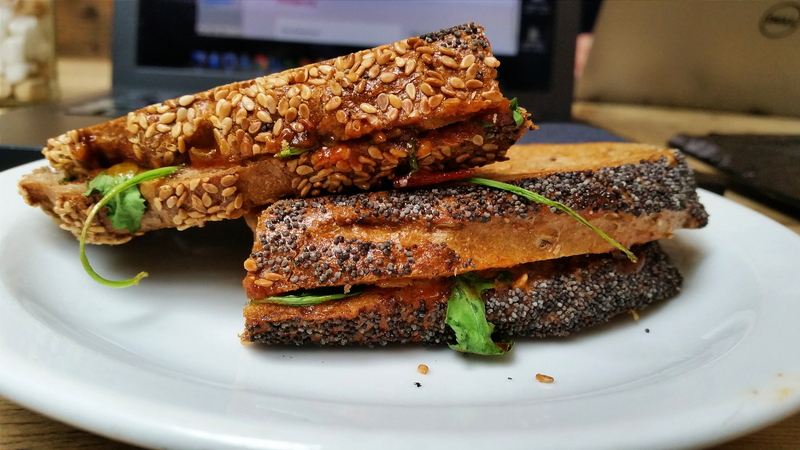 Whilst the price of my sandwich was very steep, (relative to the location and the ingredients), the other items on offer are reasonably priced, and overall, it’s more or less in line with what you would expect at any other independent coffee shop – if not a little cheaper. Staff members are very friendly and welcoming, and service is relatively prompt and attentive. Your name is taken at the till when placing your order, and a waiter or waitress subsequently walks around with your order and calls your name, so be sure to clear out any earwax before visiting, and keep your headphones unplugged. (And, if like myself, you’re the only one with a Muslim name in the cafe, be prepared for fellow patrons to dive under the table as your name is called). Staff members also come by periodically to clear up your empty cups and saucers, freeing up space for you to loiter with your book, your laptop, or your belly for just a little longer. Kahaila is a medium-to-large sized cafe that begins with a narrow passageway, and extends into a rectangular “den” towards the rear of the premises. This “den” is covered in wooden floor boards, and plays host to the classical mismatch-collection of furniture utilised by many coffee shops. The furniture ranges from “worn” leather sofas to heavy wooden tables, wooden chairs, and fabric chairs, and is an ideal mix for those who wish to relax, and for those who wish to get to work. The far, bare-brick wall is accompanied by adjacent, painted walls with a simple, off-white colour, and decorative paintings are scattered throughout. This rectangular room also hosts a pair of skylights, allowing a small amount of natural daylight to enter the room, and whilst in autumn and winter, all you can expect to see are the grey clouds you wanted to avoid in the first place, I’m fairly certain you’d get beautiful rays of sunshine in the summer. The cafe is a quick five minute walk from Shoreditch High Street station, or a ten minute walk from Bethnal Green station. This cosy cafe ticks all the necessary criteria for a good, sit-in coffee shop, and manages to serve quality coffee and food in a warm and welcoming environment. 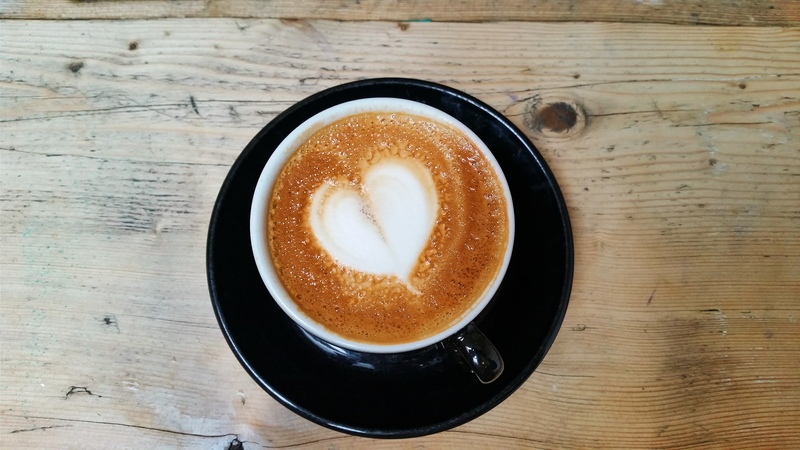 Kahaila regard themselves to be a “coffee shop with a conscience”, and given the fact that all the profits obtained from your expenditure will be spent on charitable causes, there’s certainly very little guilt to be felt by your own conscience after paying them a visit. The next time you’re walking through the Shoreditch / Bethnal Green end of Brick Lane, wishing to escape both the rain and (some of) the hipsters, pop in to Kahaila, and get cosy with a warm and satisfying brew.